Your LIFE Leadership journey starts here with our revolutionary self-discovery products that can be customized and personalized to your own goals and needs. Click on and explore the 8 Fs of LIFE Leadership: Family, Finances, Fitness, Faith, Following, Freedom, Friends, and Fun. Learn and grow with timeless truths and cutting edge, life-changing information from New York Times bestselling authors and leadership experts in the privacy of your own home for as little as $10 a month. LIFE's what you make it. Make a difference with yours. Try LIFE Leadership personal and professional development products today...And start living the life you've always wanted! Silver Medal Winner in the 2014 Axiom Business Book Awards and Bronze Medal Winner in the 2014 Living Now Book Awards! 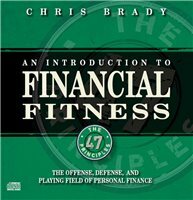 Even if you are deep in debt and cannot seem to envision a better financial future, you can achieve financial fitness and have fun doing it with the help of the Financial Fitness book! Everyone will be called upon to lead at some point in his or her life. The only question is will you be ready? Following is all about the ability to stir yourself and others toward living a life of purpose. LIFE Leadership can offer you a new perspective on how to relate to others, communicate to inspire, and accomplish what you never knew you could. Be a dreamer. Visualize your future and become a leader in LIFE. 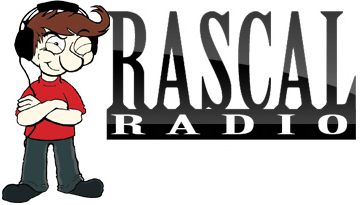 Rascal Radio by LIFE Leadership is the world’s first personal-development radio station. It is centered on LIFE Leadership’s 8 Fs: Faith, Family, Finances, Fitness, Following, Freedom, Friends, and Fun. Subscribers have unlimited access to hundreds and hundreds of audio recordings that they can stream endlessly from both the LIFE Leadership website and theLIFE Leadership Smartphone App.